Although Australians and New Zealanders are pretty much cousins, we all drive on the correct side of the road and that Anzac spirit can be found in all sorts of walks of life, there are a fair few differences when it comes to our road systems. 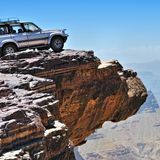 Of course, much of this is down to Australia’s huge Red Centre, where you can drive for hundreds of kilometres without encountering anything more than kangaroos, stray goats and the odd 15-tonne road-train. 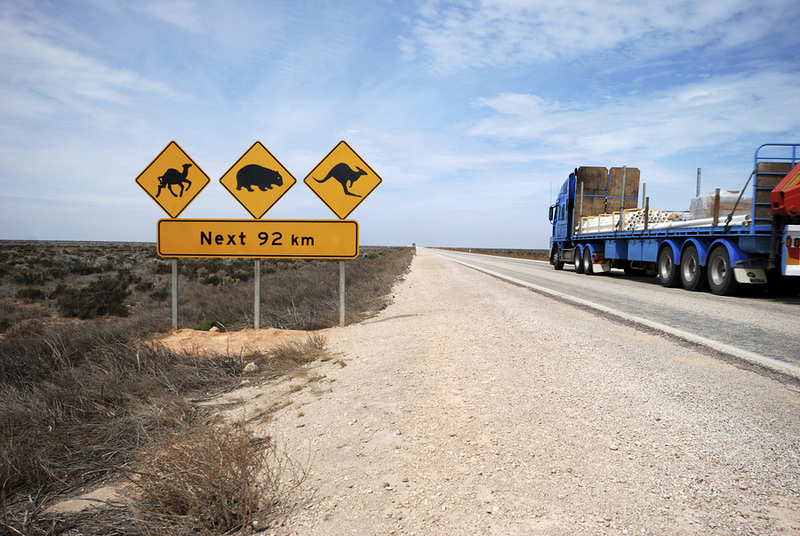 But if you’re the sort of person who’s interested in shipping your car or motorhome to Australia, or if you’re a Kiwi in Australia looking to come home and bring your favourite four or two-wheeled vehicle with you, it probably pays to consider the differences in driving between the two countries. The rules: Throughout all the territories and states you can have your licence suspended by totting up 12 or more demerit points over three years or through a single act deemed to be dangerous – such as driving more than 40kph over the limit or having a blood alcohol level more than 0.1 (that’s twice the legal limit). Breaking the rules around seat belts – such as children younger than seven being correctly restrained at all times – lead to on-the-spot fines and up to 5 demerit points for the driver. Using a mobile phone will also lead to an on-the-spot fine and 3 demerit points. 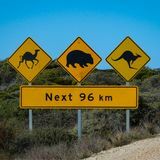 The speed limits: In New South Wales, Victoria, Queensland, Tasmania and South Australia, the default out-of-town limit is 100kph, whereas in Western Australia and Northern Territory it’s 110kph. Some NSW and Victorian roads will have signposted limits of 110kph and, on the Northern Territory’s major highways it can be 130kph. The default in most built-up areas is 50kph – although school zones will typically lower the limit to 40kph during school hours (25kph in South Australia). The distances: Some of the driving distances can be immense so it’s important to fuel up when you see a fuel stop (there might not be one for quite some time) and take advantage of truck stops to grab a coffee or catch some sleep. Watch out for wildlife, even on highways, and take real care when overtaking road-trains because of the extra distance required to pass them. 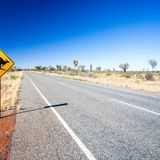 Outback conditions: When deciding to drive into The Outback, it’s very important to realise that you can be hundreds of kilometres from civilisation. Go prepared with extra food, water and fuel, and take especial care during dusk and dawn because that’s when wildlife is most often on the move. Take real care when passing or being passed by a road-train because, especially on dirt tracks, they’ll command most of the road. Variety: Australia is home to some of the world’s most scenic drives – but it’s not always certain what surface you’ll be driving on. While some Outback roads such as the 2800km Outback Highway between Western Australia and Queensland are unsealed 4WD adventures, others like the Old Telegraph Track on Cape York in tropical north Queensland are off-limits during the wet season. You can also encounter snow – and need to fit chains – if you’re driving the Mt Baw Baw Tourist Road up 1478m to the top of Victoria’s Great Dividing Range and you’ll have to mind the tight bends (vehicles longer than 6.5m are banned) if you tackle the hairpins on Galston Gorge Road in Sydney’s Berowra Valley Regional Park. The rules: Demerit points stay on your licence for two years and you can have your licence suspended for three months if you get 100 or more points within any 24-month period. Examples of points are: over the speed limit by no more than 10kph = 10 points, by not more than 20kph = 20 points, and on sliding scale up 50 points for speeding by more than 35kph over the limit. Other offences which can mean you receive demerit points include using a mobile phone is 20 points, creating excessive noise within or on the vehicle is 25 points, driving an all-terrain vehicle, motorcycle or moped without a securely fastened helmet or with a damaged helmet is 25 points, or 35 points for failing to give way at a pedestrian crossing. The speed limits: Although the media has carried stories recently about upping the maximum speed limit in New Zealand to 110kph, it remains at 100kph on open out-of-town roads and state highways. Other common signposted limits include 80kph in urban arterial routes; 70kph through some small rural towns; 50kph in most urban or built-up areas; 30kph through roadworks and 20kph around school buses dropping off or picking up passengers. The distances: Although overall distances aren’t as large as in Australia, New Zealand’s often narrow and winding roads can lead you to underestimate journey times. For example, travelling around the Eastern Cape between Whakatane and Gisborne may look like a nice scenic detour (you can take SH2, which takes around 2 and a half hours) but the 371km of winding coastal roads can easily take more than five hours. Rural conditions: Outside cities, New Zealand roads can be narrow, winding, single lane, unsurfaced and mountainous. 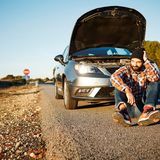 It’s important to be prepared for the regions you’re travelling through, including having and knowing how to fix snow chains on your wheels for snowy mountain passes. Although there isn’t Australia’s wide range of large wildlife to watch out for, other hazards on Kiwi roads include ungated and unalarmed rail crossings. Variety: From Kaitaia in the north down to the Southern Alps, there’s a huge variety in the terrain you’ll encounter in New Zealand. But the biggest variety in New Zealand is in the weather – you can easily start a journey under clear skies but encounter rain, hail, snow, ice and fog on the way.